Ralph Griggers, a 47-year old police sergeant from Nashville, TN, is familiar with pain. He’s been hit by a car and nearly died in a mountain climbing accident last year in Colorado. He’s had a broken neck, collarbone, two major knee surgeries and suffers from disc degeneration. 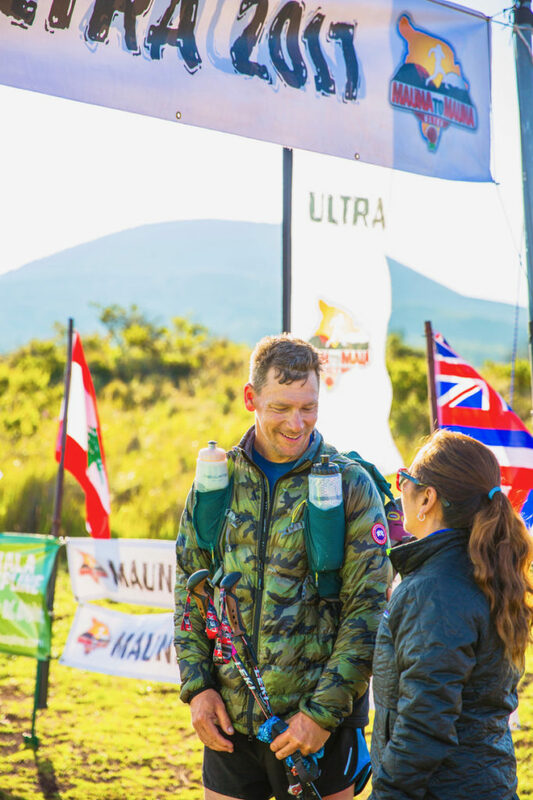 When he tells you that running the inaugural 250km Mauna-to-Mauna ultramarathon was the hardest thing he’s ever been through – well now, that’s a tough race! WHAT IS THE M2M ULTRA? 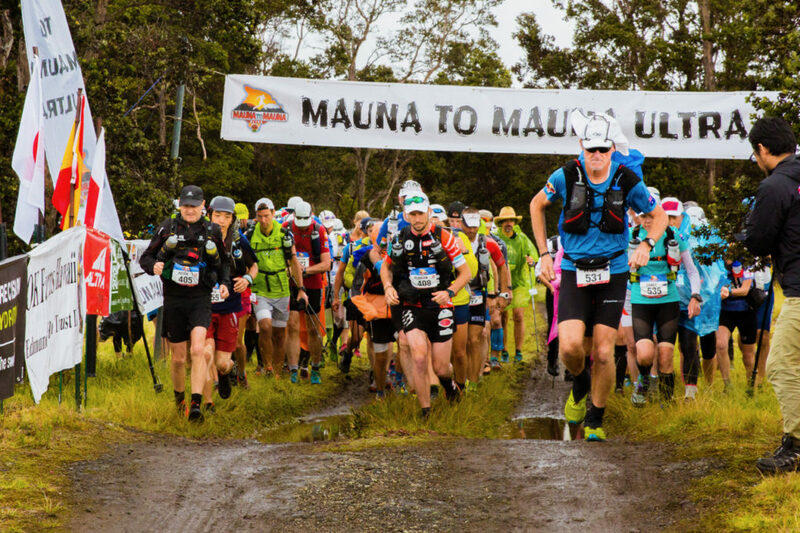 On May 14 2017, 72 competitors from 20 different countries began the inaugural self-supported 250km Mauna-to-Mauna Ultra in Hilo, on the Big Island of Hawaii’s west coast. 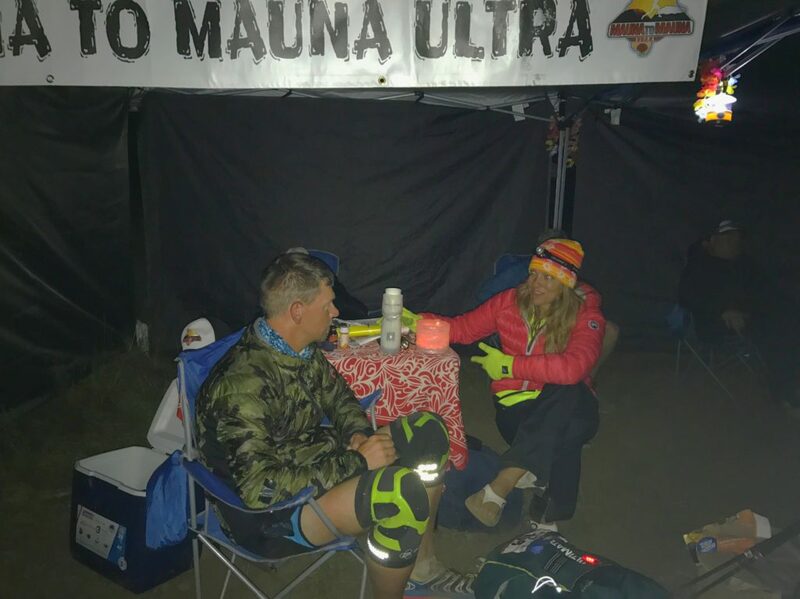 Seven-days, six-stages, 156-miles with a combined 45,000 ft./13,700 m of ascent and descent later, 63 completed the race, some running, others limping across the finish line, on the east coast, at Hapuna Beach, HI. 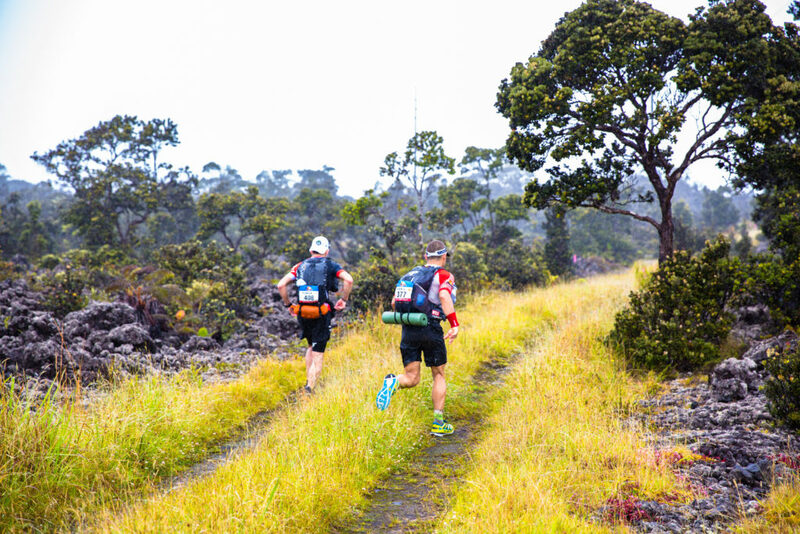 The Mauna-to-Mauna Ultra, also known as the M2M, is named after, and encompasses, two of the Big Island’s famous volcanoes: The Mauna Kea, the world’s tallest mountain (33,000 ft./10,000 m from its oceanic base) and the Mauna Loa, the world’s second largest mountain in volume and mass. 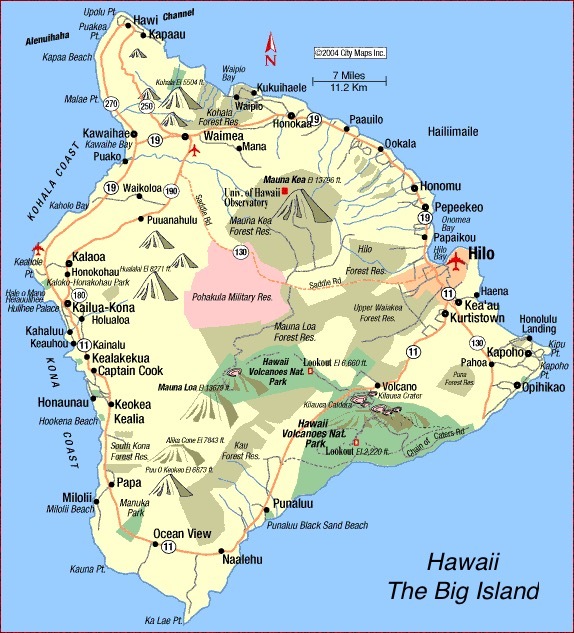 It embodies half the surface area of the Big Island of Hawaii. The M2M Ultra was created by Tess and Colin Geddes, the same race directors who founded the 273 km Grand-to-Grand Ultra in 2012. The G2G is widely considered as one of the toughest endurance races in the world. Some say, the M2M Ultra is harder. 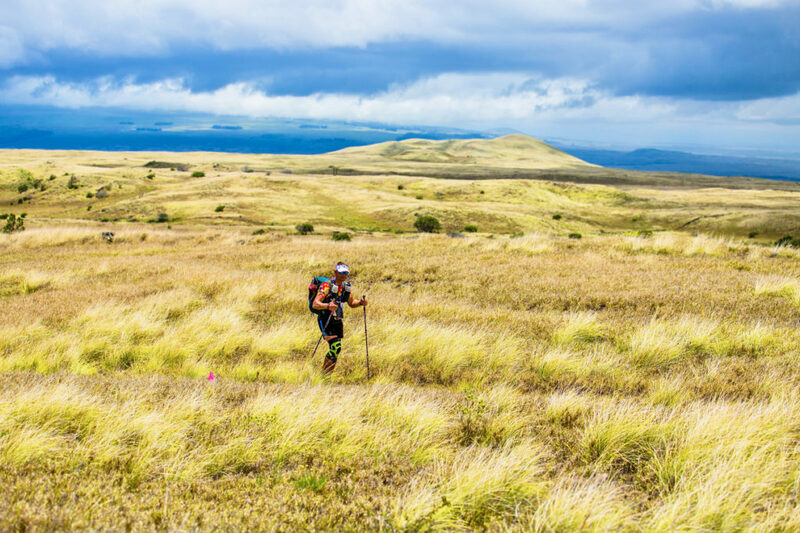 M2M competitors traversed volcanoes, tropical valleys, waterfalls, lava fields, roads and beaches. The terrain and distance varied and so did the weather. 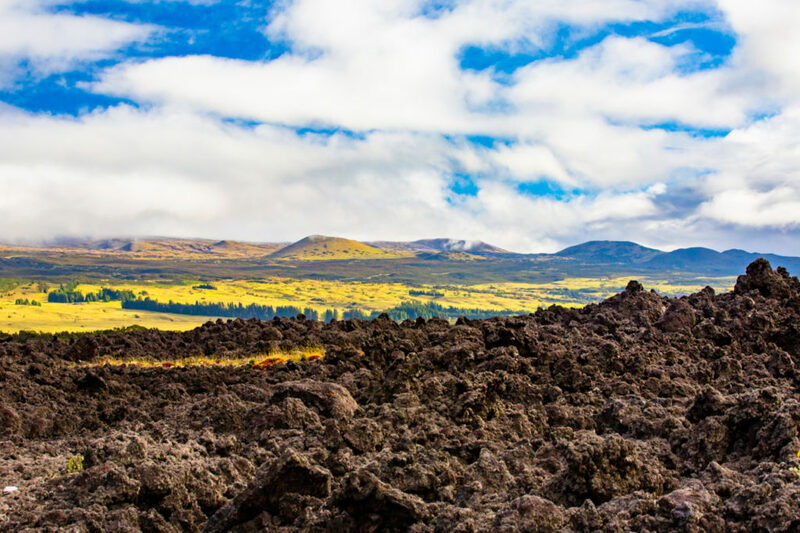 The Big Island of Hawaii possesses eleven of the world’s thirteen climate zones and race experienced most of them: full days of monsoon-like downpours, hail, freezing rain, gale force winds to blazing sun and unrelenting heat. Soaking wet, impossible-to-dry-your clothes, trench foot maladies to hypothermia and heat exhaustion. The extreme weather threw everything but snow at them. There were casualties. 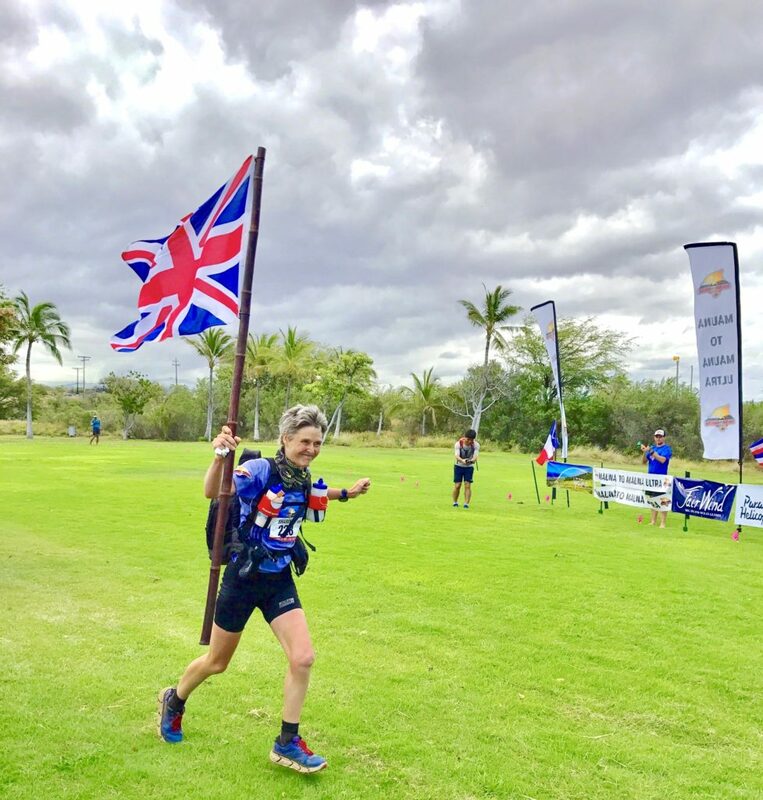 Though runners were strong and experienced - all having run two or more ultramarathons to qualify for the M2M Ultra and most, veterans in competing in this type of endurance race - nine would drop. 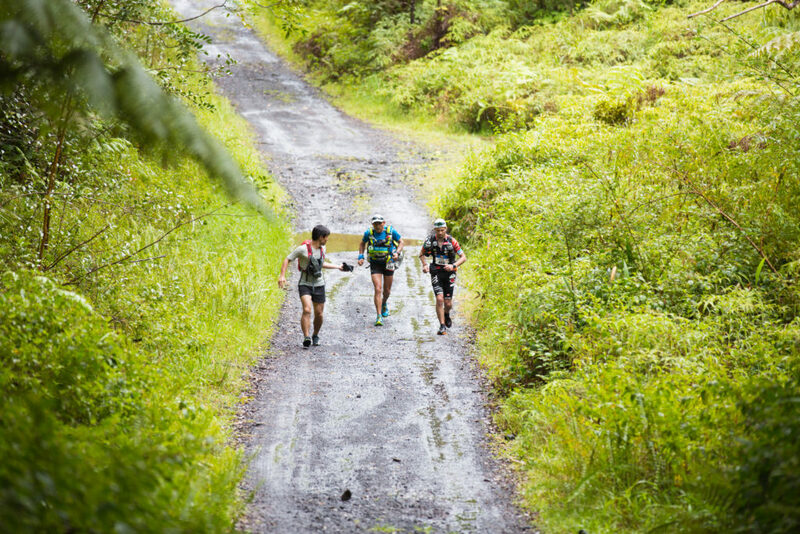 Among them, elite runner, Salvador Calvo Redondo from Spain, who split open his toe on sharp lava rocks during the long 48-mile stage on day four. This was Ralph Griggers first self-supported ultramarathon and by all accounts, he shouldn’t have been running. He first heard about the M2M Ultra in September 2016. He had run several marathons and ultramarathons in the past, but this race was a whole new level. Challenge Accepted! Unfortunately, this middle-aged, father of two was now out of shape and condition. He carried a bulky 220 lbs. on his 6’1” body. The extra weight put added stress on his bad knees. His girlfriend tried to talk him out of it. She had completed the 273km Grand-to-Grand Ultra in 2012 and knew how much trauma it puts on the body. “It will be painful. The hardest thing you will ever do, physically and mentally,” she said. His orthopedic surgeon tried to talk him out of it. 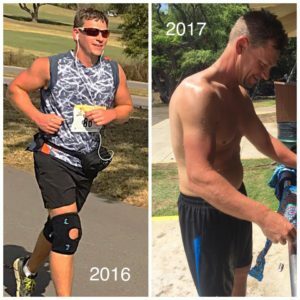 “You have no business running with those knees.” Ralph has almost no cartilage in both of knees and has had multiple surgeries attempting to fix them. Undeterred, Ralph began to train. The first thing he did was change his eating habits. He eliminated most processed foods and switched to a gluten-free, wheat-free and dairy-free diet. This helped reduce inflammation in his knees and back. He no longer needed to take ibuprofen every day. He started losing weight. To further help reduce stress on his joints, he ran in maximalist cushioning Hoka One One shoes and Don Joy knee braces. After work, he ran trails by his home - at first only a couple miles, than six and then fifteen. In addition to running, he hiked and cross-trained with Pilates and yoga. In March 2017, he was ready to test himself and ran the Badwater Cape Fear 51.4-mile ultramarathon on Bald Head Island, NC. Most of it, in sand. He finished in 11 hours and 36 minutes and felt great. His knees were sore, but not swollen. This was a good sign. By May 2017, he was down 30 lbs. and weighted 190 lbs. His legs were strong. He was ready for the 250km M2M Ultra. Ralph’s 20L Ultimate Direction Fastpack backpack weighed 23 lbs. 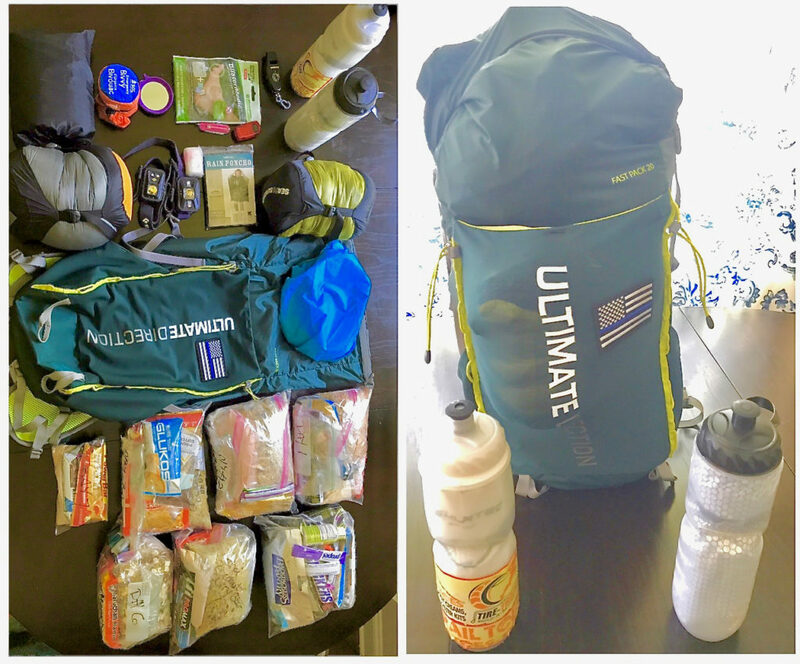 and included 16,000 calories of food (race minimum was 14,000 calories) a Spark II sleeping bag- weighed less than one pound, a Thermarest sleeping pad, a long-sleeve shirt, another pair of shorts, six pairs of socks (he wanted a fresh pair for each day), an ultralight rain jacket, down jacket and mandatory survival items. He ran with Leki trekking poles and “they were a lifesaver,” he said. Not only did they minimize weight and impact on his hips, back and knees, the poles helped him balance over uneven terrain and propelled him forward, ascending and descending mountains. The biggest challenge throughout the race for him, as it was for all competitors, was dealing with climate extremes. It poured rain the first three days. The ground was saturated. 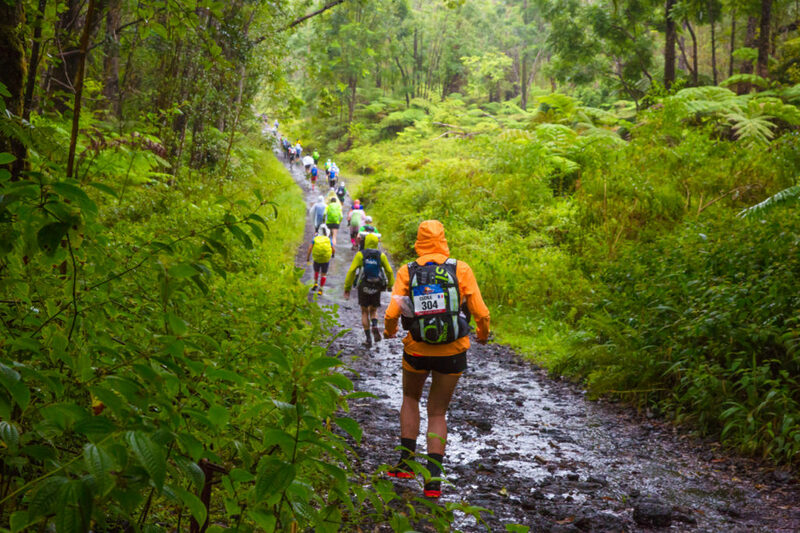 Runners slogged through thigh-deep puddles, mud and negotiated slick lava rocks. Nobody had dry feet. Everything was wet. The rain was unrelenting and when temperatures dropped, it was downright miserable. This is not what people imagine when they think, ‘Hawaii’. Even the locals said the weather was unlike anything they had seen during this time of year. Hypothermia plagued many during Stage 3 (28-miles). The last 14-miles off the mountain were the worst. Freezing rain, thick fog and high winds chilled everyone to the bone. His seven tent mates cheerfully greeted him each afternoon. They were all going through the same experience. Some just quicker than others. They commiserated about the weather, blisters, sore muscles, wet clothes, shared funny stores and lessons learned from other races. It finally stopped raining half-way through the fourth day, during the long Stage 4 (48-miles). It was a blessing, because the long stage had other challenges. The competitors had 36-hours to run 48-miles and climb up and down Mauna Kea, a total of 20,000 feet. Their legs and feet were already tired and sore from the previous three-days and 74-miles. Ralph, in good spirits, struggled with a groin pull and swollen ankles. He kept a smile on his face because he knew, after the first three-days, he was going to finish this race. He felt like he was getting stronger. He finished Stage 1 (27-miles) in 32nd place for men. He ran a strong Stage 2 (19-miles), moving up to 29th place. By the end of the miserably cold and wet Stage 3 (28-miles) he retained 29th place for men. If he were going to make up some time, he’d have to push through the night on Stage 4. The elite runners finished Stage 4 within 12 hours. Florian Vieux, from Switzerland, crossed the finish line first in 9:17. Everyone else, with only headlamps to illuminate the trail, continued on during the long, cold night - some taking short naps at later check-points to recharge. Four more competitors dropped from the race. Ralph, completed exhausted, crossed the finish line in 23:28. It was good enough to move him up to 28th place for men. The last competitor completed Stage 4 in 31 hours, Yao Chen, 63-years old, from Thailand. When you put things into perspective when it comes to endurance racing, who has more endurance? The first one to cross the finish line or the last one? During Stage 5 (29-miles), runners battled heat exhaustion as they ran through high grassy farm pastures with ankle twisting lava rocks. The sun beat down on them. No clouds in sight. Thankfully, at the end of Stage 5, camp was on the beach. Ralph, along with other, went into the ocean and relaxed in its cool waters. Under the blazing sun, 63 remaining competitors took off from their beach camp. 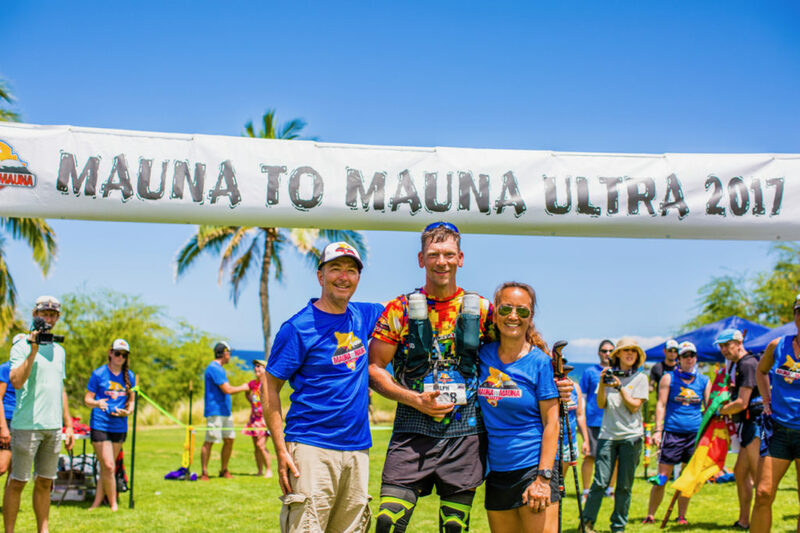 They ran the last five miles on roads, through dirt tracks and to the final finish line on the lawn of the Hapuna Beach Prince Resort. 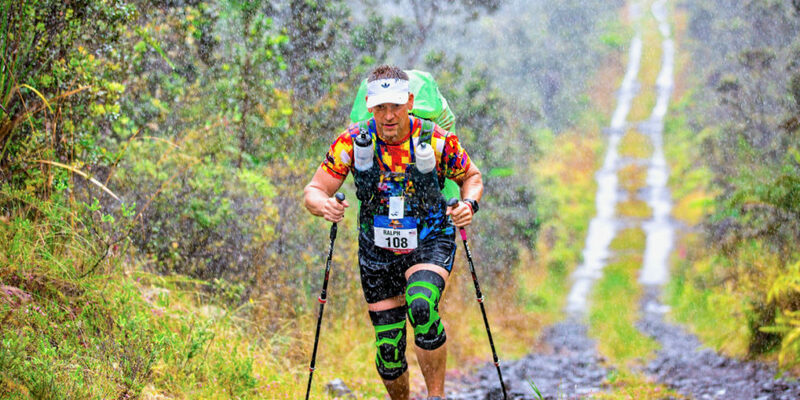 Ralph, knee braces on, pumping his trekking poles, sweat pouring off him, crossed in 1:03. A slow 5-miles for him, but after running 151-miles in the past 6-days, it was fast enough. He did it! 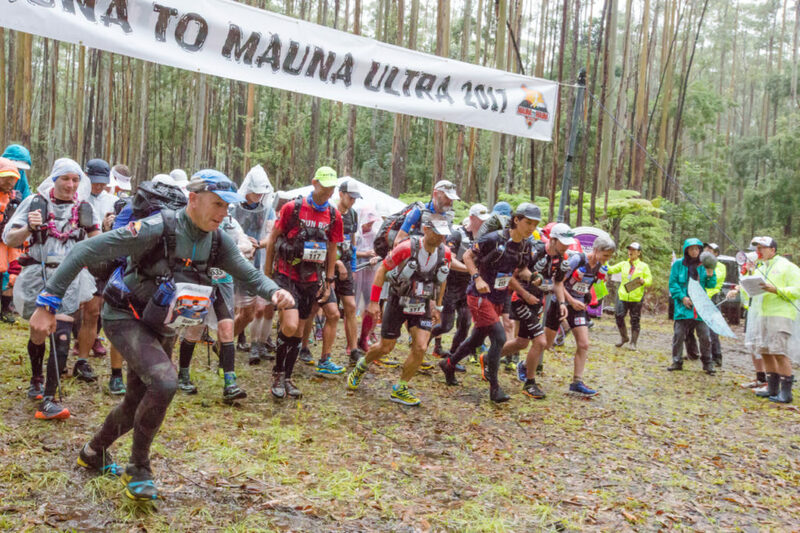 In his first ever 250km self-supported, stage-race ultramarathon, he finished the M2M ultramarathon in the Men’s Top 25, in 25th place, with a cumulative time of 54:32. Vicente Juan Garcia Beneito from Spain won the inaugural M2M Ultra with a cumulative time of 26:47 minutes. Florian Vieux came in second with 27:38. Sylvia Ravaglia, from Hawaii, was first place female, eight-place overall, with a cumulative time of 34:32 and endurance running world record holder, Sharon Gayter from England came in second, twelve-place overall, in 37:52. Though the last place runner’s cumulative time was 75:14, he didn’t waiver. A total of nine runners dropped during the race. Of the original 72 competitors, 63 finished. Endurance racing is not about competing against others. It is about competing against yourself. You are challenging yourself to be better, stronger than you were yesterday. We are stronger than we think. The only way to know this is to do something we’ve never done before. But watch out, because once you accomplish it – challenging yourself can become addicting. Ralph now has his sights on completing the infamous Badwater 135 for his 50th birthday in 2020.